Submitted by Simon Coleman on Fri, 5 Dec 2014 - 18:48. 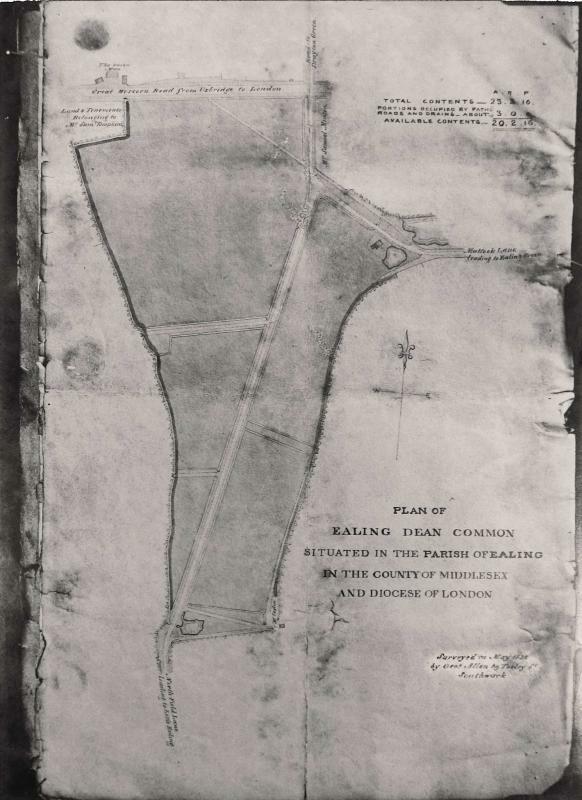 Prior to 1832, the land where the current allotments are situated, was known as Ealing Dean Common. The Common was also known as ‘Jackass Common’ as pony races were held there in June. 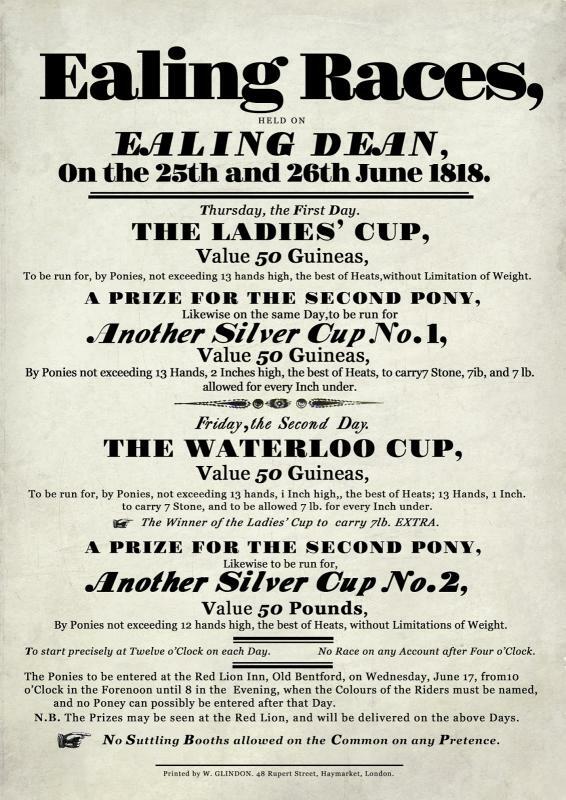 See this poster for a racing event in 1818. 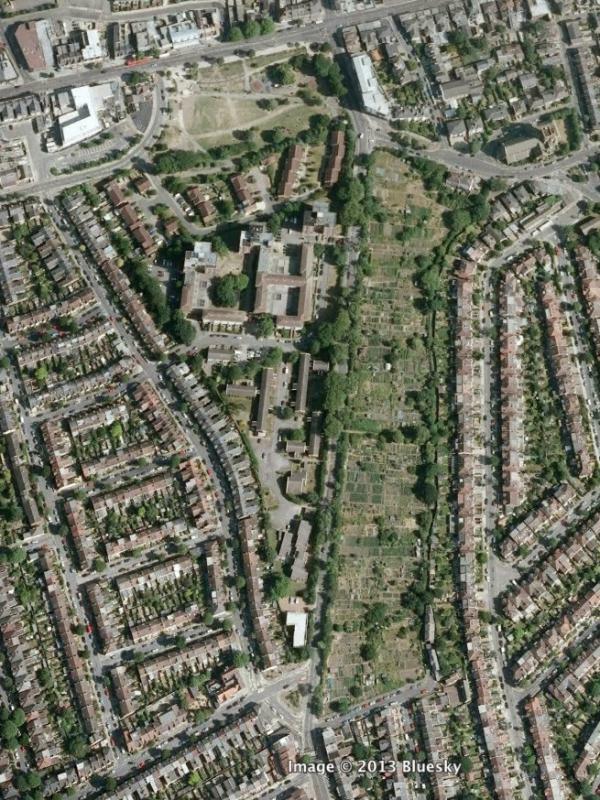 This Common included the current allotment site and an area of land west of Northfield Avenue that was also allotments until the 1980s. 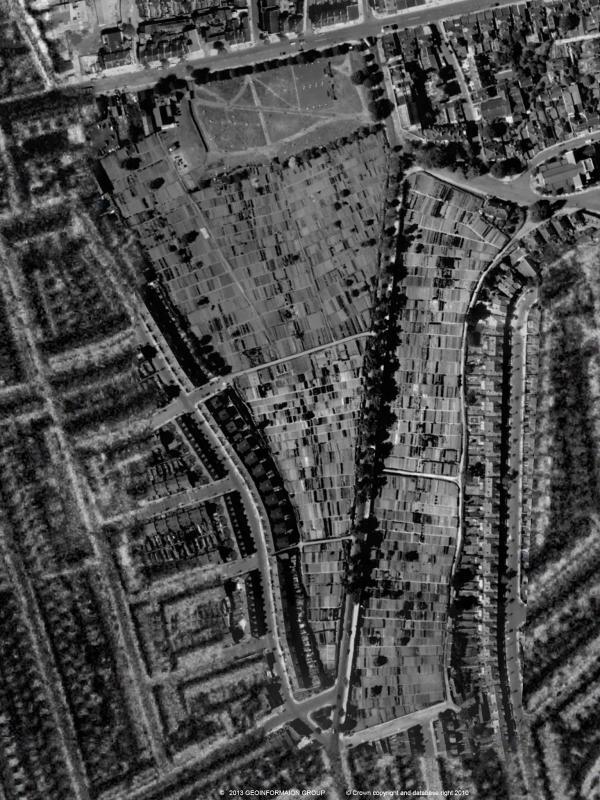 The Common stretched up to the Uxbridge Road and included the area which is now Dean Gardens public park. The layout of the roads immediately surrounding the allotments have remained unchanged since the early Nineteenth Century. Mattock Lane, which was known as Magg Lane, bordered the site on the north, while Northfield Avenue, formerly called North Field Lane (until 1905), bordered to the west. On the south side Occupation Road seems to have been provided as an “occupation road for the Model Cottages” and remains relatively unchanged apart from the addition of new housing at various times. The footpath that runs up the East side of the allotment has been there since at least the early Nineteenth Century. 1832 is an important date in the history of the site. This is when Charles James Blomfield, the Bishop of London, ensured the enclosure of the land for use as allotments. The area now known as West Ealing was known in 1832 as Ealing Dean and a committee was set up to manage the Ealing Dean Common Allotments as they were known. 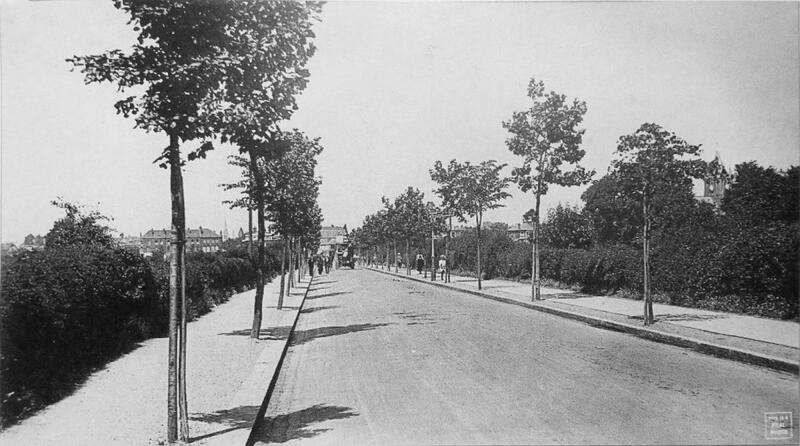 This 1911 Photo shows Northfield Avenue with London Plane trees. On either side of the road the hedgerow hides the allotments. When this photo was taken the allotments had been in existence for 79 years. 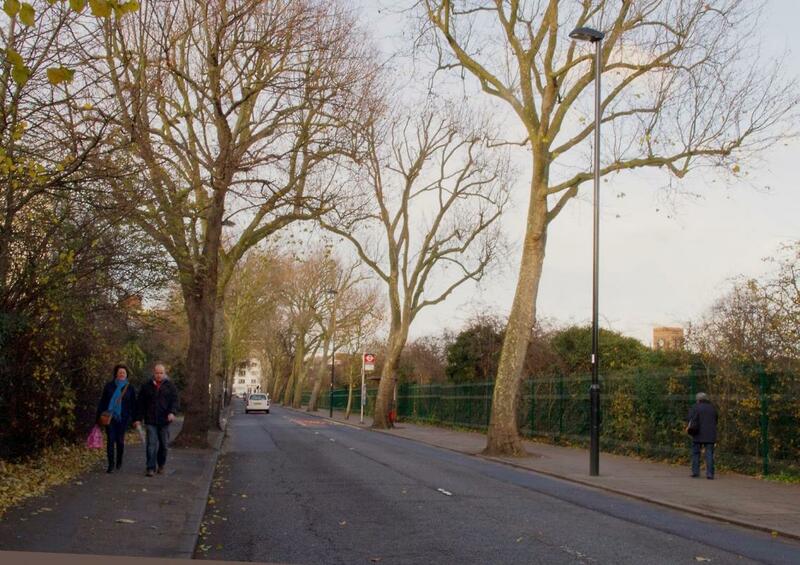 In the distance (to the right) you can see St. Johns Church and on the left, buildings on the Uxbridge Road. We still have a hedge but, for extra security, we also have a 2m high fence too. In the 1911 photo the plane trees were a fairly new addition. They may be the reason why the name was changed from North Field Lane to Northfield Avenue . The plane trees are now mature providing shelter for birds and a some shade on the plots. Sadly, many of the allotments were built upon and lost to cultivation. The two Google images below show what we had and what was lost.